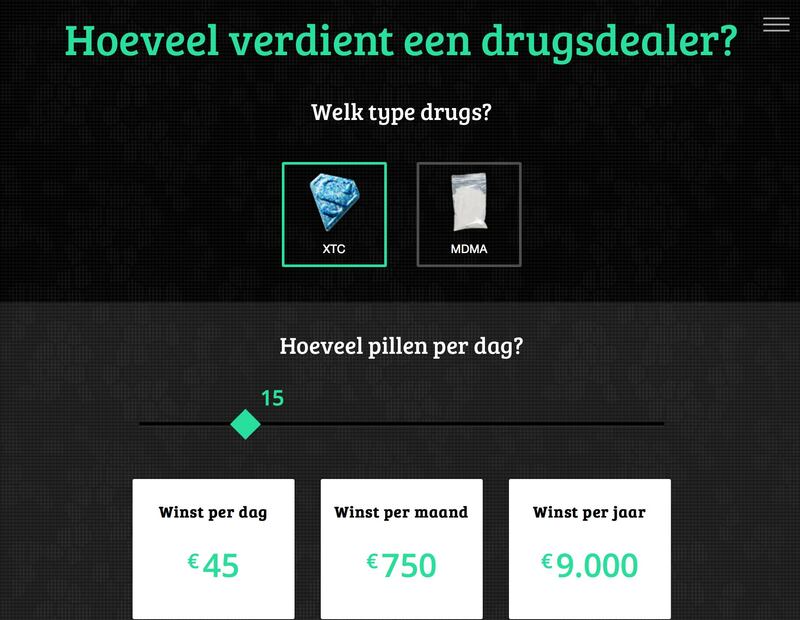 For public broadcaster NOS I developed a multimedia longread about the use, production and distribution of XTC and MDMA. 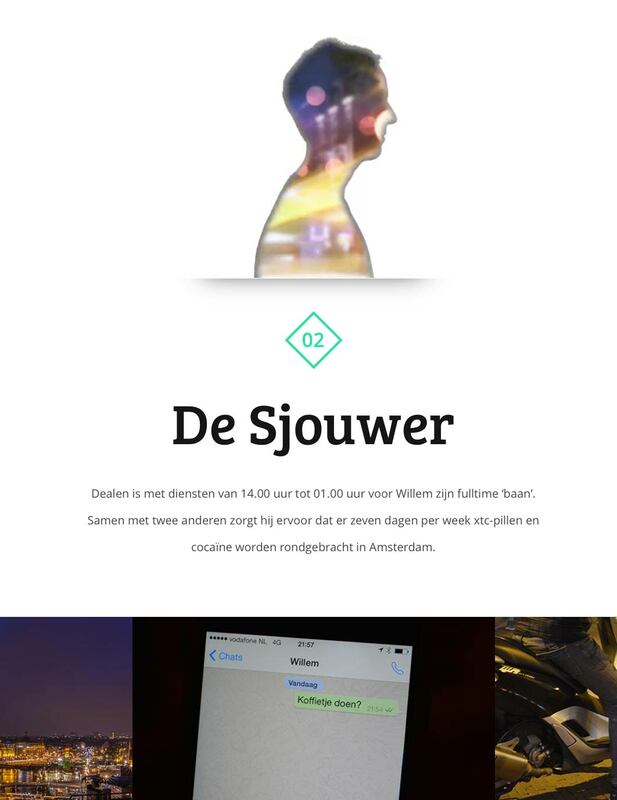 Together with a team of designers, visualizers and journalists we researched, wrote, produced and build this longread in just two weeks. 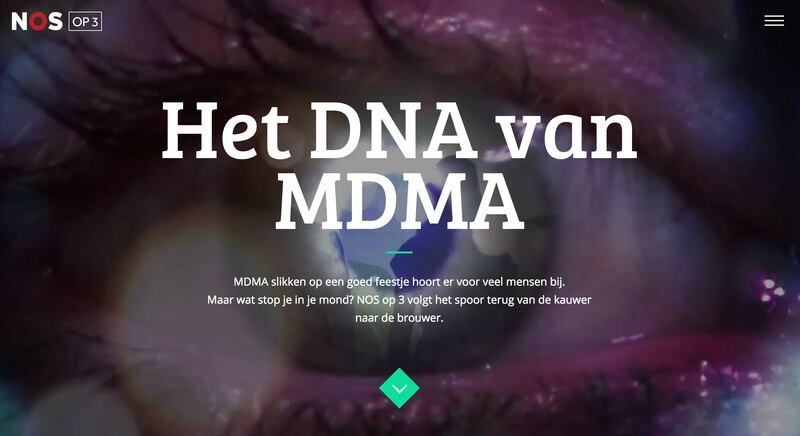 The DNA of MDMA won a golden Spin Award in 2016, a price for innovative digital concepts.